The view from our hike along Deadman’s Creek resulting in this beautiful overlook. The Girl and I spent a few minutes finding a geocache, then just enjoying the view. 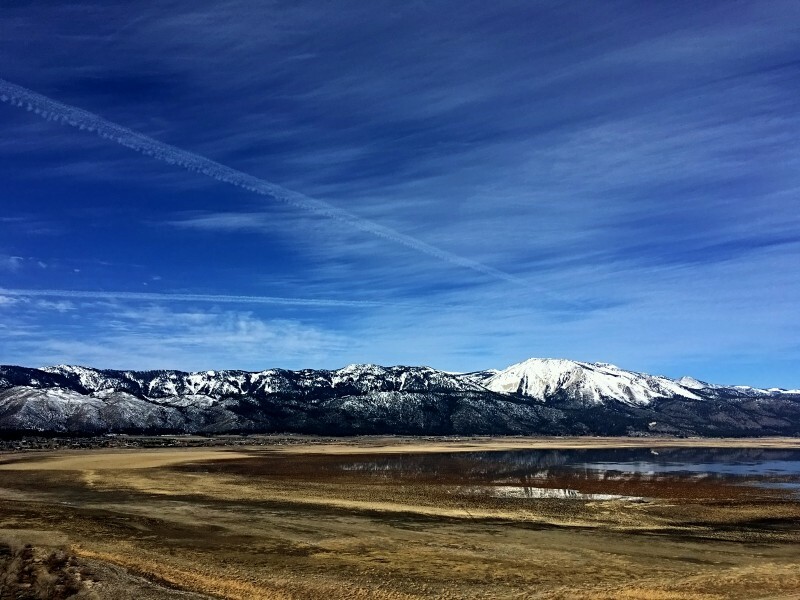 While standing a couple hundred feet from the gazebo on the hill near Deadman’s Creek, the Girl and I saw this wonderful view of Slide Mountain and Washoe Lake. There is a little water in the lake now. It was just enough to provide some reflection of the mountains and the sky. The beauty of the place astounded me. It was well worth the hike to get this view. I’m grateful for it. Gonna need a print! Gorgeous!